American Equity Properties, a diversified real estate development company, was established in 1977. Through its affiliated companies -- American Equity Development, and American Equity Management – the American Equity group engages in the full spectrum of real estate development, concentrating on income producing properties, shopping centers and office complexes. American Equity uses its internal resources to acquire vacant ground, obtain governmental approvals, construct, lease and manage its properties. 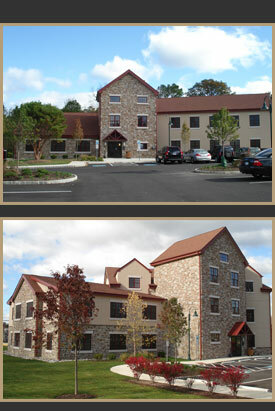 American Equity Properties also acquires existing income producing properties for its portfolio, which currently includes Elkins Park Square shopping center and offices in Elkins Park, Pennsylvania; and Gwynedd Gate professional office campus in Lower Gwynedd Township, Pennsylvania.